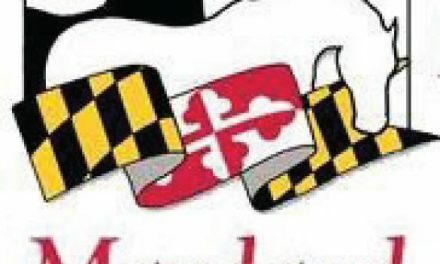 Terry Ledley of Montgomery County died on July 25 at the age of 92. She was an accomplished pianist who had studied music at Queens College, and earned Masters in mathematics from Columbia University. She worked for the Bureau of Standards as one of the world’s first computer programmers on the team that developed the Standards Eastern Automatic Computer (SEAC), the first programmable computer. 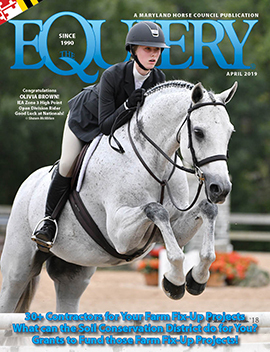 Ledley is best known to the Maryland equestrian community as a founding member of Trail Riders of Today (TROT) and a passionate steward of preserving Maryland’s vast trail system for riders. Current TROT President Gale Monahan shared with us her memories of Terry Ledley. When asked to write something about Terry Ledley, one of 22 founding members of Trail Riders of Today (TROT), who passed away June 25, I said sure, no problem. Well, there was a problem. I had known Terry since the late 1980s and had so many wonderful memories, I couldn’t sort through them all. So, I reached out and asked a number of folks who have also known Terry for a long time to help me. I heard from a number of those founding members who started TROT: Judy Richardson, who was TROT’s first President, Mary Prowell, Pat Oliva, Anne Bennof, and Barbara Cannizzo, who is now living in Colorado. Sandy Boyd, also a founding member, spoke to me on the phone and we shared our memories. The others who submitted memories and have known Terry for a long time were Priscilla Huffman, Debbie Poole, John and Susan Railey and Barbara Sollner-Webb. 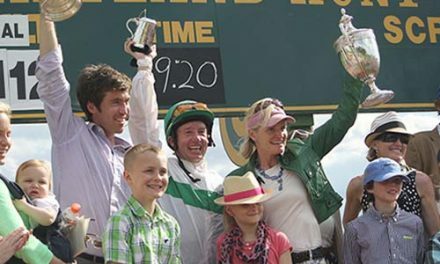 I have spoken to many other wonderful TROT members who had known her and loved Terry’s contagious enthusiasm for life. Terry became a founding member of TROT by seeing a flyer that was put up in local tack/feed stores about a meeting that was going to be held at Judy Richardson’s home (founding president of TROT) on March 4, 1980, about saving the Paint Branch Regional Park from development, as Montgomery County had lifted its ban on development. TROT grew from there to a statewide organization. Terry stayed involved from day one. At the time of her death, she was still on the TROT board letting her views and thoughts be known. Terry didn’t start riding until later in life. She bought her first horse on her 50th birthday, a beautiful 3-year-old chestnut Arabian she named Billy. Then she decided to learn how to ride. After a few mishaps and misunderstandings, the two became true partners. Billy took care of her on the trails. 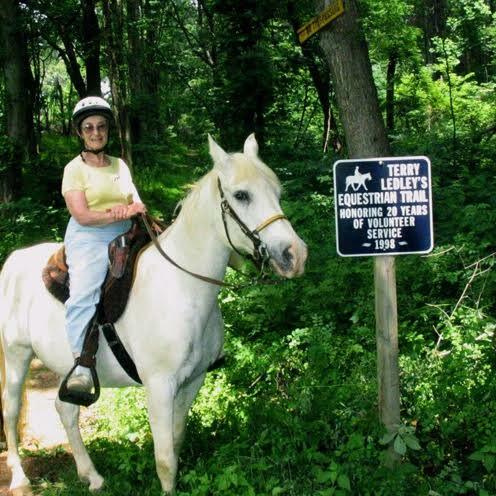 Terry loved riding the WSSC/Rocky Gorge Watershed trails, which were right near where she kept Billy. She loved showing these trails to anyone who wanted to see them. Her favorite time to ride these trails was when the Mountain Laurels were in bloom. Terry would prune and clean the trails every time she went out on them. At one point, Terry decided to get two Border Collies and trained them to pick up trash along the watershed trail, handing bottles and cans to her as she sat on her trusted Billy. Terry was able to get the maintenance/rangers folks from the WSSC to help remove larger logs and trees that fell on the trails. No one said no to Terry. The staff of the WSSC respected this tiny woman (not sure she was even 5’) who was bigger than life with her energy and enthusiasm. Soon the WSSC was sending their representative to our TROT meetings who would testify before the Park and Planning Commission in favor of TROT. Because of Terry’s dedication to these trails, in 1998 the WSSC named a portion of the trail system to honor her. For many years Terry and her husband Bob would take a trip out west to the Colorado mountains where they would adventure on horseback into the wilderness with an outfitter. I was invited on a couple of their adventures into the Rockies. Where Terry would ride, Bob would hike. Somehow Bob would always beat the horses to the campsite. Even if Terry had been on the same trip before, and over the same trails before, she would find wonder in all she saw. On these trips to the Rocky Mountains, Bob would take photos and movies. At the TROT annual meeting/pot luck, Bob would show these movies which he had narrated. They were informative and funny, as Bob put a bit of his sense of humor into them. Everyone always seemed to enjoy them. When Billy hurt himself in the field, and after many months of trying to nurse him back to at least pasture sound, he had to be put down. Terry was heartbroken. It was hard for her to start looking for another horse. Along came Silver, a very stylish gray. Terry was not fond of grays. Silver carried her for many more years of happy riding and miles of trails while she pruned until he developed Cushings. He foundered and it became clear he would not be able to live a normal life, and Terry had to say goodbye to another trusted friend. Soon after Silver’s death, a neighbor and friend, Barbara Sollner-Webb, talked Terry into an old steady school horse named Snuffy. Another gray. No one knew how old Snuffy was, but he was just what she needed, as she herself was not as young as when she had Billy. Snuffy lived a good long life and was lost due to heart failure. Terry was passionate about almost everything she did. She loved the outdoors and all it had. She loved horses, dogs, and trails. Her joy about everything nature was contagious. She reminded us every time we were around her that what may seem mundane can actually be a wonder, something to treasure.